Spring… the return of green, with sprouts of flowers and food poking out from the ground. As the spring harvest starts to roll in, there is some bad news… we’re not getting everything we could from the fresh vegetables and fruit that comes to us in the grocery store. Modern farming has long since depleted the soil, and we aren’t getting all the nutrients we used to from our harvests. A strawberry or carrot grown in one region will have different soil-mineral content to grow in and eventually contain slightly different nutrients. The most defining nutrients will still be there—somewhat. The strawberry will be red (although not all strawberries are equally vibrant), the carrot orange. But nowhere does the soil contain the diversity and richness it once did, and it’s no longer supporting our health the same way. That’s why additional dietary support from Humic and Fulvic Acid can be so valuable. 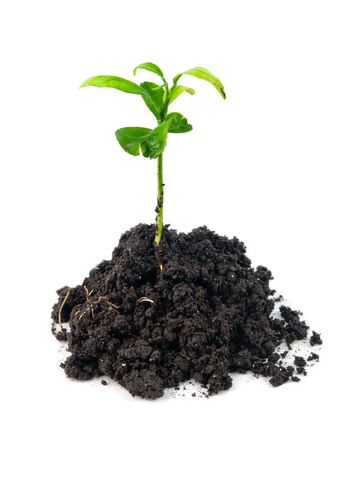 What is Humic and Fulvic acid? It comes from a deep layer of ancient soil, soil created from the remains of prehistoric trees and other foliage that left behind a rich and complex array of nutrients. Soil? Yep, but it’s organic, uncontaminated soil that’s been checked by an independent lab. It’s processed into a supplement without the use of chemicals or nutrient destroying heat, and the high antioxidant content of humic and fulvic acid keeps it fresh without the need for preservatives or other additives. Acid? Don’t let the name throw you—the minerals in humic and fulvic acid actually contribute to an alkaline body pH, helping to restore health and balance. (Our diet often leaves us too acidic thanks to fried foods, coffee, etc.). While the micronutrients found in Humic and Fulvic acid have been lost from modern farms, you can still get all the benefits from a supplement like Immune System Regenerator. Humic and Fulvic acid contains 17 minerals the body can’t make on its own, and they’re all plant derived, so they’re easier to digest then the cheap shell (animal) derived minerals you get at the grocery store. Humic and Fulvic acid can’t be made in a lab, so this is the best way to get the dietary benefits! Support cell health with Humic and Fulvic acid.